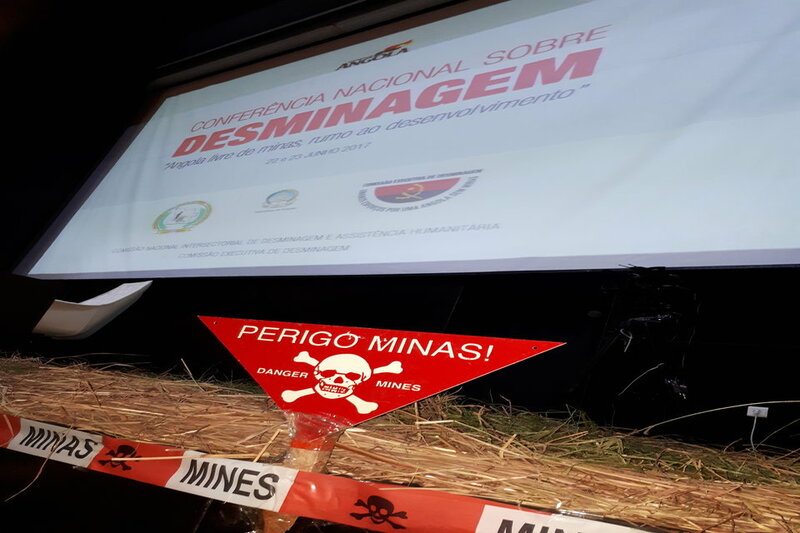 The UK government has announced £50,000 of new funding to support landmines clearance in the southern Angolan province of Huambo. 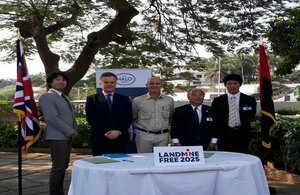 For the past two years the UK, in partnership with Japan, has supported demining activities in the Provinces of Malange and Huambo, representing a total contribution by the UK of £ 65,000. With the support of the governments of the UK and Japan, the project aims to make the Province of Huambo mine impact free by the end of 2018. It will be implemented by British NGO The Halo Trust. I am proud to represent the UK, a country that is working to ensure an anti-personnel mine-free world. Ambassador Dennis recalled Princess Diana’s visit to Angola in 1997 to raise awareness of the landmine epidemic and praised the work of British demining NGOs such as the Halo Trust and the Mines Advisory Group. 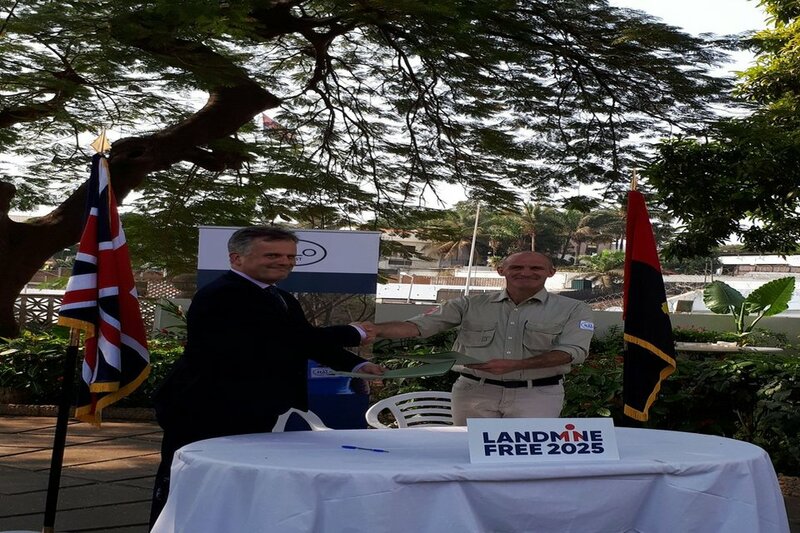 The Ambassador also flagged the British government’s announcement in April that the UK would triple its spending on global mine action to £ 100 million over the next three years, making the UK one of the world’s leading donors in this area. Sign used to mark mined areas - Attention Mines!